When it comes to Make up I'm addicted to Chanel and Laura Mercier Cosmetics (plus Dior, Benefit and many other brands). I have almost everything that came from the Chanel Cosmetics factory and most of my can't live without products are Chanel. Laura Mercier products on the other hand give the most flawless skin you can imagine (I should make a follow up on their face make up products). Although I'm in love with the new BB Creams, I will never give up on my LM Tinted Moisturizer or Secret Camouflage. Few months ago I wouldn't even consider looking for Powder of any kind. Until my huge storage of Georgio Armani Micro-Fil Loose Powder finished and this particular product was discontinued. I just hate when I find a really good product and they stop producing it. That's how I came upon the YSL Poudre Compacte Radiance, $46. I was hesitant at first, but with some practice I found the perfect way to apply it. It stays light and doesn't cake on the face. Mascara is a whole different story. I love mascara, can't live without mascara and at the same time very picky with mascara. I believe I already have the perfect one, but always on a look for the next best buy. I first saw the Mascara Volume Effet Faux Cils Baby Dolls, $30 in an add and later read some very good reviews about it. 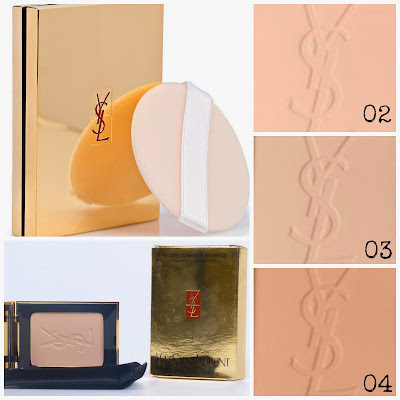 So when I was at the YSL stand choosing the Powder, I saw the Baby Doll Mascara. The first thing I look in a Mascara is the brush. I like it to be able to separate and elongate my lashes, not a fan of clumpy lashes. Once I liked it, I bought the #1 Fetish Black. 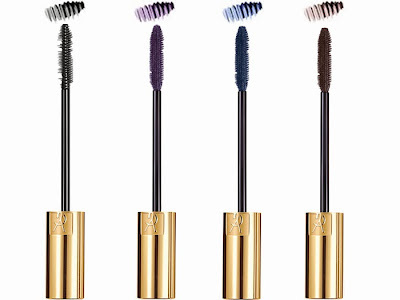 The YSL Baby Doll mascara comes in 4 colors - Fetish Black, Wheedler Brown, Audacious Blue and Indiscreet Purple. I'm considering to buy the Purple as well, it compliments greatly green eyes. My last purchase, but the one I like most (I'll make a separate post) is Effet Faux Cils Crème D'eyeliner, $28 or the Long-Wear Cream Eyeliner in Black. I absolutely love it. It comes in 7 colors. Mine is in Deep Black and it's really the deepest black you can imagine. Creamy and silky it draws perfectly, no drying or flaking. Extremely long wear, no re-touch required during the day. I'm going to buy No.3 - Bronze Black and No.7 - Gold Star. Every girl should have the YSL Cream Eyeliner. 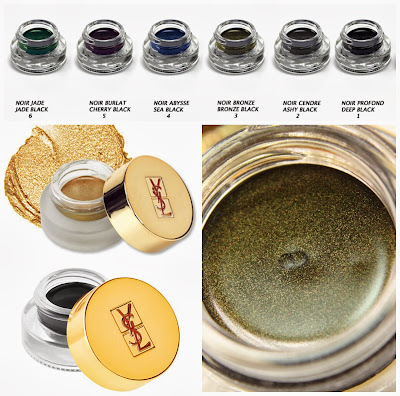 The best buy was the YSL Long-Wear Cream Eyeliner. Better than any Gel Eyeliner I've used. I'm getting some more colors. The Poudre Compacte Radiance (Compact Powder) is an excellent replacement for my Georgio Armani Micro-Fil Loose Powder, although D&G one is as good. 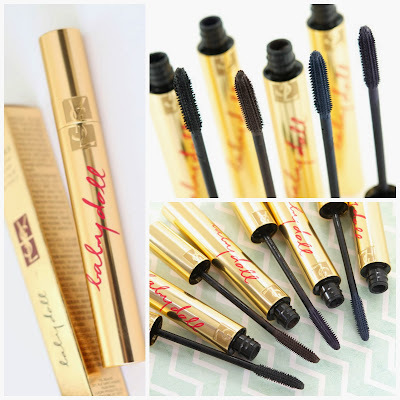 The Baby Doll Mascara is just fine, nothing spectacular and I don't think I'll buy again. Quite costly for what it offers and the formula is more on the dry side. 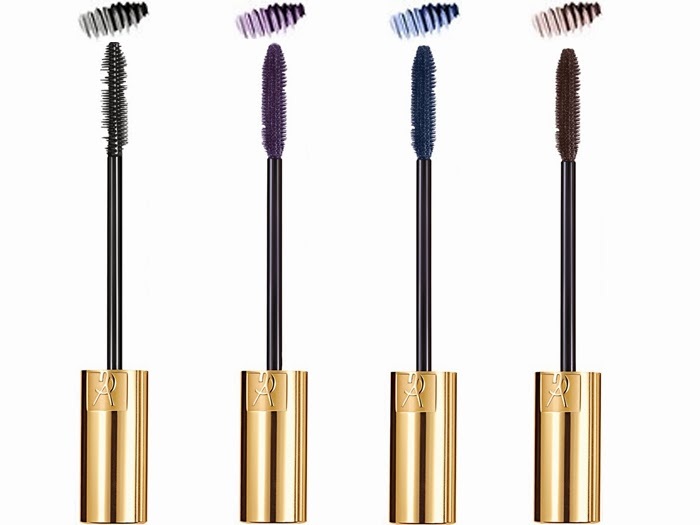 There are Drugstores' mascara that will do as good if not better. The YSL Bronze Black and Gold Star Eyeliners are just dreamy. Thank you for this post Romy. I have been using MAC foundation since the days of the fitness competitions. I hate going to the make-up counters because they're all there to sell you their product. I can never duplicate the results at home once I buy the product. I will look into your recommendations.